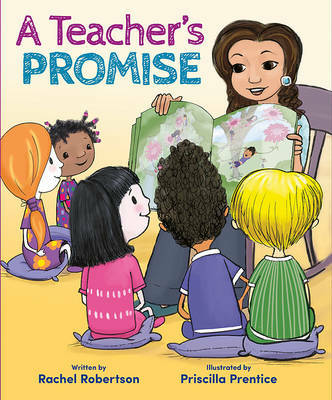 'Deeply touching but never sentimental, this remarkable book is more than a story of one boy and his mother. 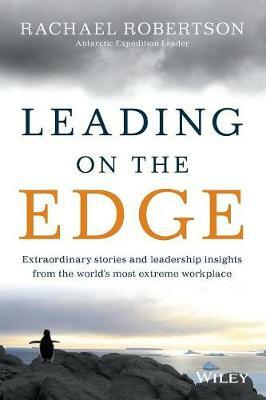 It's a thoughtful meditation on the intricate workings of the human mind and heart.' TONI JORDAN 'He'll grow out of it,' my friends told me. 'He's so intelligent,' my family said. 'Your parents are mathematicians,' people reminded me. 'What did you expect?' What did I expect? We expect many things of our children. Most of the time we are only aware of these expectations when something happens to make it impossible for them to be fulfilled. When Ben is a baby, Rachel puts his quirks down to eccentricity. He likes to count letterboxes; he hates to get his hands dirty; loud noises make him anxious. But as Ben grows and his behaviour becomes more pronounced, it becomes clear there is something else going on. When he is diagnosed with autism, Rachel must reconsider everything she thought she knew about parenting, about Ben, and about how best to mother him. 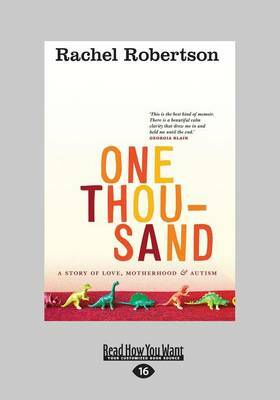 Reaching One Thousand charts her quest to understand autism and to build a new kind of relationship with her son. Along the way she explores her own childhood, discovering unexpected links between Ben's experiences and her own. Before she can presume to tell Ben's story, she realises, she must face difficult questions - questions about intimacy, trust, and what it means for a mother to write about her child. Exquisitely written, this is a thought-provoking reflection on family and understanding and a tender love letter from a mother to her son. 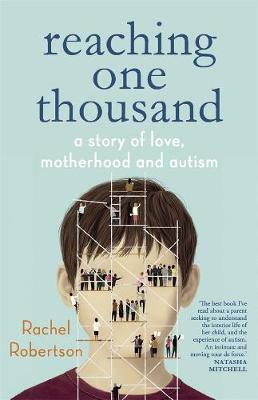 Buy Reaching One Thousand: A Story Of Love, Motherhood And Autism by Rachel Robertson from Australia's Online Independent Bookstore, Boomerang Books. Rachel Robertson's fiction and essays have been published in The Best Australian Essays, Australian Book Review, Griffith Review and Island. Her essay 'Reaching One Thousand' was joint winner of the 2008 Calibre Prize. 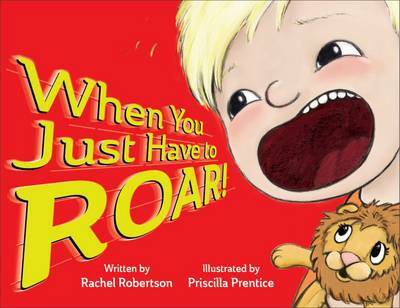 When You Just Have to Roar!